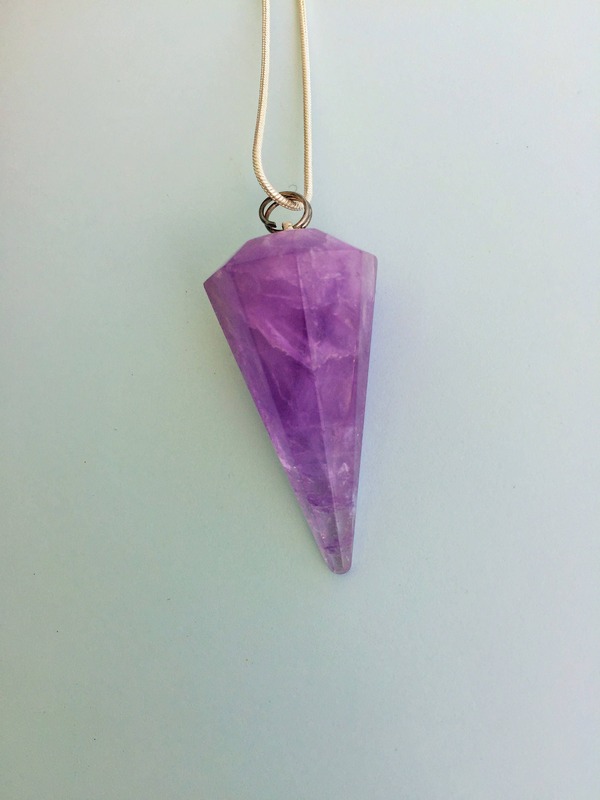 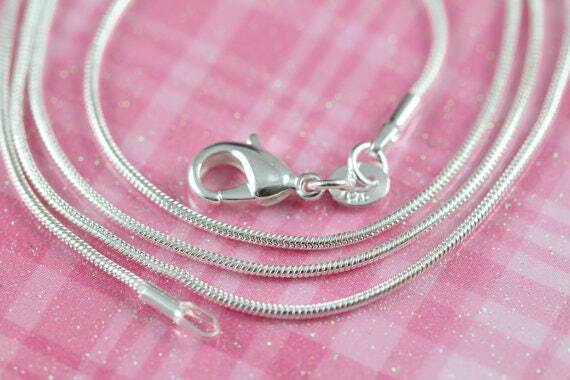 Receive this beautiful Amethyst Pendulum Necklace. 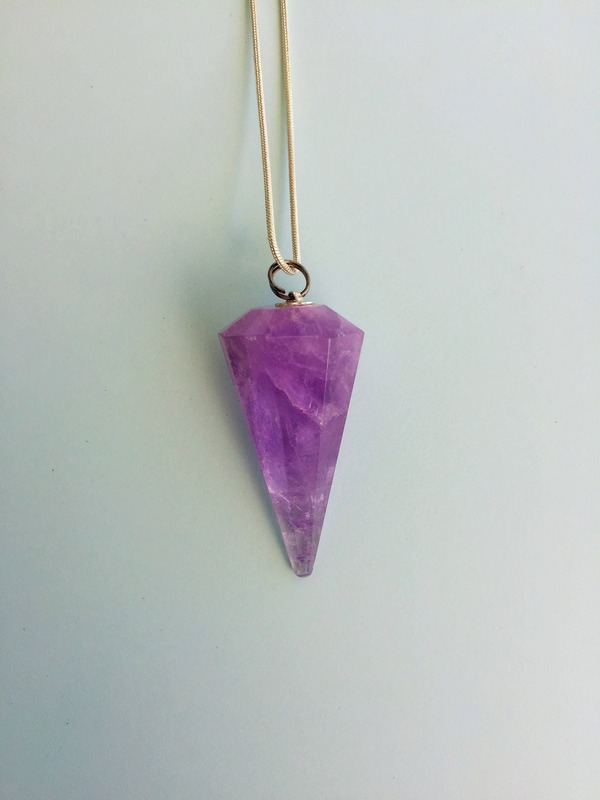 Amethyst is a gemstone often worn by healers, as it has the power to focus energy. 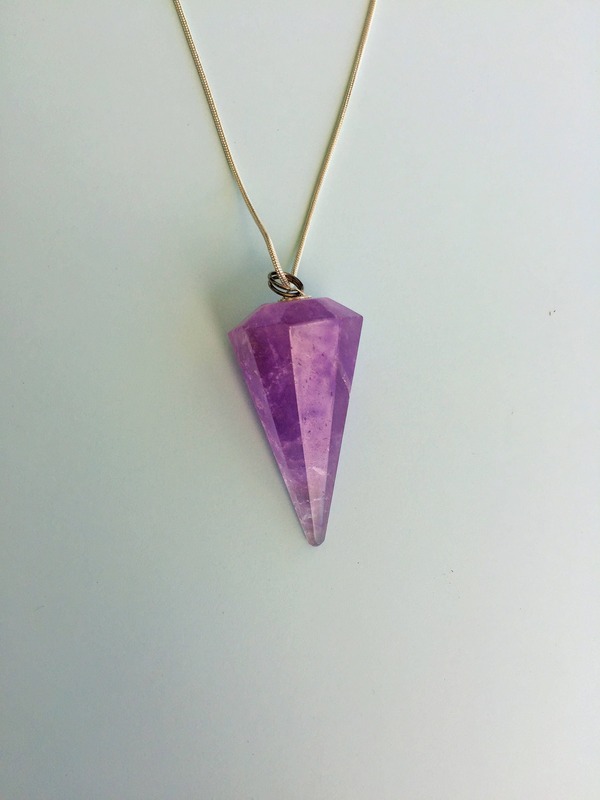 A healer will usually wear several pieces of jewelry with amethysts set in silver, especially an amethyst necklace.